In the 14th annual “Tibet Negotiations Report” the US government reconfirmed their support for dialogue between Chinese and Tibetan representatives as an important foreign policy objective. The report points to concerns with Chinese conditions in order to resume dialogue, defining them as “unreasonable and unattainable”. It also reinstated the importance of the role of the Dalai Lama and his representatives in dealing with tensions in Tibet, praising his non-violent approach to conflict resolution in the region. Moreover, the report highlighted that China’s failure to confront these problems could have economic and social repercussions and stunt their further political and economic engagement with the US. 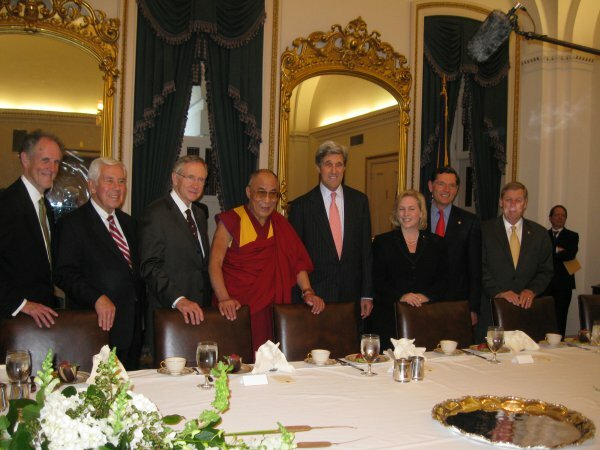 The Tibet negotiations report, which is mandated by the Tibetan Policy Act of 2002, was transmitted from Secretary of State John Kerry to the Congress. The report maintained that the role of His Holiness the Dalai Lama and his representatives is pivotal in dealing with the continuing tensions in the Tibetan areas and advised that failure to address these problems will be an impediment to China’s social and economic development, as well as continue to be a stumbling block to fuller political and economic engagement with the United States. - The US delegation at the 19th U.S.-China Human Rights Dialogue on August 13, 2015 urging China to renew dialogue with the Dalai Lama or his representatives and provide greater access to Tibetan areas by diplomats and journalists. - At the April 2016 U.S.-China Consular Dialogue, the United States proposed the establishment of a mechanism for consular officers and staff to be able to travel to the TAR on short notice to assist distressed U.S. citizens with minimal delay. Click here for PDF copy of the full report.